I was fortunate enough to receive a new Wilson Burn FST 99S to review. 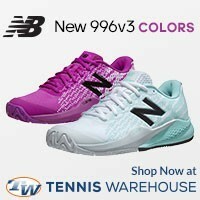 This new tennis racquet is the cousin of the very popular Wilson Burn series of frames. This lightning quick Wilson Burn FST 99S is built for power, spin, and control! Let me preface this review by telling you that I had my first hit with factory installed strings, Wilson Revolve 17, which was strung a little too tight for my liking. I did replace the strings with some Tourna Big Hitter Rough 17 at a lower tension, this made the Wilson Burn FST 99S play much nicer. Once I received the racquet, I took a couple of shadow swings in my living room, definitely felt a little light but incredibly smooth. 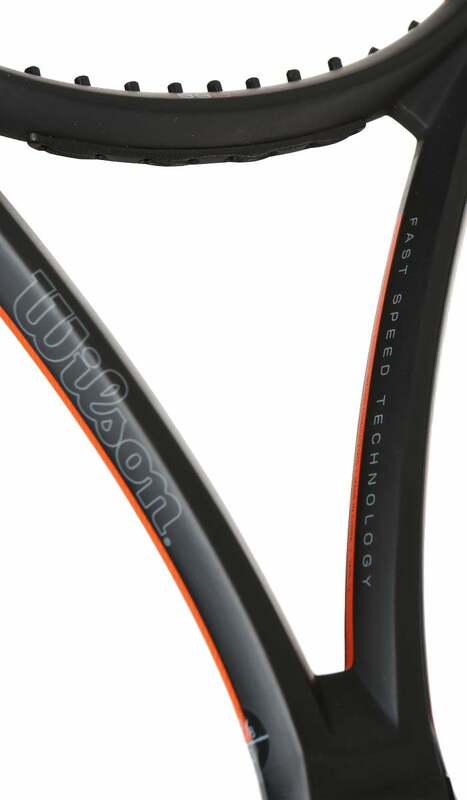 One thing that I truly appreciated was the paintjob of the Wilson Burn FST 99S; the mostly matte black frame with orange highlights gave the racquet a smooth and sleek look. I was looking forward to taking it on the tennis court. During my first on-court playtest, I immediately felt the stiffness of the frame. The stiffness rating is 72 (comparable to a Babolat Pure Drive), which is way too stiff for me; I prefer a stiffness rating of around mid-to-lower 60’s. In any event, the stiffness added quite a bit of power, which I liked because the Wilson Burn FST 99S weighs just over 11 ounces strung and has a low swingweight. The stiffness made up for the lack of heft in the swing-through, allowing me to drive through the ball a little more sending deep forehands and backhands. Generally, stiffer tennis racquets mean arm problems. The stiffness at contact sends more shock through the frame, to the handle, and to the arm. Much to my surprise, the Wilson Burn FST 99S was really comfortable! I didn’t feel much shock through to my arm. It was as if the frame has built in dampening. 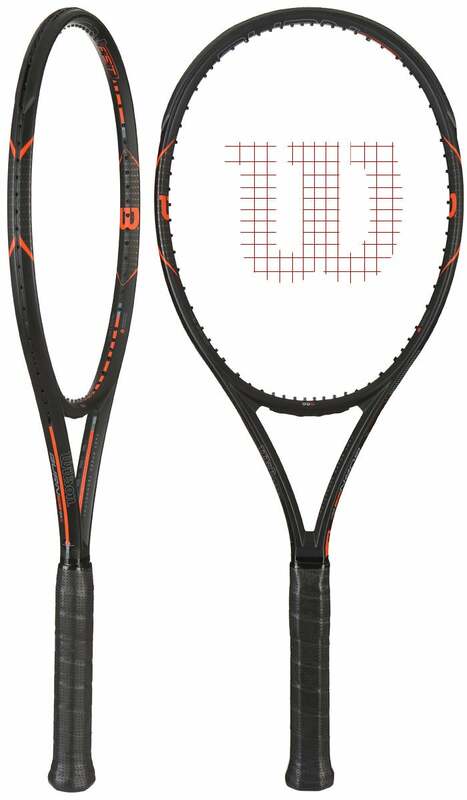 The frame is designed on the very popular Wilson Spin Effect technology; the Wilson Burn FST 99S comes with a unique string pattern, 18 mains and 17 crosses (traditionally 18 mains and 20 crosses). 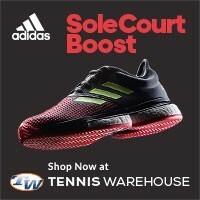 This semi-open string pattern allows for truly controlled groundstrokes. I was really impressed by the amount of spin I was able to generate on my forehands; deep, dipping, and kicking forehands were frequent. The headlight balance of the Wilson Burn FST 99S allowed for huge whippy cuts on my forehand, pushing my opponent further and further back from the baseline. 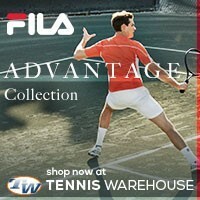 The control of the Wilson Burn FST 99S was great, what I would expect from a dense patterned racquet. I was able to paint the lines from most court positions like it was nothing. I really didn’t even have to change much of my swing to get get the ball to where I wanted; if I wanted a loopier swing, I had it; if I wanted a flatter hard ball, I had it. This frame is capable of doing it all. Even off-centered strokes found the inside of the court…thanks to the Wilson Spin Effect Technology! Like all of my reviews, I like to point out any downsides of what I’m reviewing. While the Wilson Burn FST 99S has many positives, there were a couple of gripes I have with the frame. Serving. Oh boy, did I struggle with my serves while using this tennis racquet. The low swingweight made my first serves much harder to time; I was overswinging a lot on first serves, which I like to hit flat and hard. At first, I hit a lot of serves really long or at the bottom of the net. I struggled with timing. I was able to dial in my serve a little bit, but having to serve at 75% made my serve less of a weapon. Second serves were OK; yes, they were very spinny but lacked the weight and “kick” that I’m capable of. A little extra weight would make the Wilson Burn FST 99S deadly from the service line. I also had some issues getting the timing down on my one-handed backhand. I was hitting the ball really early on the backhand. This always wasn’t a bad thing though, it produced some impressive cross-court spinners but they felt like a misshit and I frustrated my hitting partner as he had to chase down a lot of balls. Eventually I got my bearings on the backhand and had fun with the spin. –The Wilson Burn FST 99S comes with optional handle inserts for those of you who use a two-handed backhand. This X2 Ergo Technology gives you the optimal leverage on the backhand stroke…more spin and power! While the Wilson Burn FST 99S was a little light statically and through the swing, the frame’s power and spin made of for the lack of weight, though I would much prefer a racquet with a little more weight out of the box. Understand that if you like a slightly heavier tennis racquet (11.5oz – 12.5oz), you will likely have a short adjustment period. You might have to slow your swing down a little bit, though once you figure it out you’ll enjoy the ride. I was really impressed with the comfort of the Wilson Burn FST 99S, I was actually shocked how easy it was on the arm. The stiff frame didn’t hurt at all! 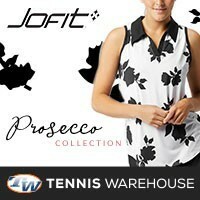 Players looking for added power and spin but don’t want to risk getting tennis elbow, check out the this racquet. The Wilson Burn FST 99S is a really great platform to do some customization. The static weight and balance allow for lead placement to your liking. All in all, the Wilson Burn FST 99S is a definite must try for 2016!